FAQ: Which Tablet Should I Purchase? FAQ: Why Are My Line Totals Different Between Measure Mobile and RFMS Mobile? FAQ: How can I email a PDF from Measure Mobile on my Windows tablet? FAQ: Is Measure Mobile Compatible With a Laser Measuring Device? FAQ: Does Measure Mobile 3 Require an Internet Connection During Field Use? FAQ: Why Can't I See Other User's Folders in My Company? Measure Mobile 4.1.10 was released on Monday April 22, 2019 to the Apple App Store, Google Play Store and Microsoft Store. The following is a list of new features, improvements and bug fixes included in this update. We hope you enjoy these new features and improvements! Leica DISTO X3/X4 now supported on iOS and Android tablets, including it's Smart Room feature. Click here for a brief demonstration of this technology. Rotate Line 180 in Line Draw. Allows for reversing direction of a measurement drawn in the wrong direction. Automatically select next segment when measurement for a side of room has been applied. This makes editing room sides with a Disto much more efficient. Two rooms may now be attached to one another by selecting their corners or wall handles. Measure Mobile 4.0.7, was released on Thursday, February 28, 2019 to the Apple App Store, Google Play Store and Microsoft Store. The following is a list of bug fixes that were included in Measure Mobile 4.0.6, released on Thursday, December 20, 2018 to the Apple App Store, Google Play Store and Microsoft Stores. The following is a list of new features, improvements and bug fixes that were included in Measure Mobile 4.0, released on Thursday, November 15, 2018 to the Apple App Store, Google Play Store and Microsoft Stores. Measure Mobile 4.0 requires a license to log in and sync your projects to cloud storage and other premium features such as attaching photos and accessing 3D clipart. For more information on this change, see our help article here: Measure Mobile Licensing Update. Access to a pre-defined library of high quality 3D objects is now available via the 3D ClipArt icon in the drawing popup menu. We'll continue to add new objects to this library. Please post your suggestions for new objects in the Community Forum. A horizontal, full-screen view of the roll plan is now available. In this view, there is an option to view single/multiple rows/columns. Adjustments to the roll plan are now much easier to perform. The following is a list of improvements and bug fixes that were included in Measure Mobile 3.20.10, released on Tuesday, July 17, 2018 to the Apple App Store, Google Play Store and Microsoft Stores. Ability to assign a color family to a product category: Administrators and Managers may assign a color family to any product category in admin.rfms.online > Products. Once assigned, products belonging to that product category that are imported to a project or are synced to the cloud from RFMS will receive visual colors that are similar to the product category's color family. * In addition, products that are created manually, either in the cloud or in Measure Mobile, will automatically receive visual colors within that family. These visual colors do not reflect the actual color from the manufacturer, but are simply intended for a more realistic representation of the product on the drawing screen and room plan. 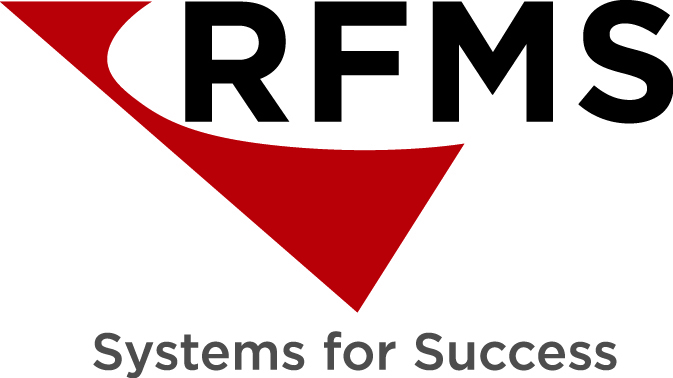 Note: If you have RFMS products stored in the cloud already that are included in templates, you will need to ask support via measuresupport@rfms.com to refresh your cloud products. This will re-apply the color assignments based on the newly selected color family. Extra Waste factor can now be added, adjusted or removed while viewing the Estimate tab on the Drawing screen. Extra Waste factor is now visible on the worksheet list itself, rather than just within the side menu when the line item is selected. The expand/contract state of the customer information fields on the Add Project screen is now sticky. So, you can either leave it expanded or contracted each time you create a new project, depending on your preference. French translation is now available. Improved memory usage on the drawing screen to prevent the app from crashing due to the mobile device running out of memory. Fixed some actions related to the Undo feature. The following new features, improvements and bug fixes are included in Measure Mobile 3.20, released on Wednesday, June 20, 2018 to the Google Play Store and Microsoft Stores. This update will be released to the Apple App Store by Friday, June 29, 2018. This update temporarily removes the 3D icon from the Windows App due to usability problems on that platform. We intend to resolve these problems as part of a future release. Updated visual design: the toolbar is now located near the top of the screen and the Project Settings and Support icons are always visible in the side nav panel. A new walk-through mode in the 3D viewer allows you to select a room to go into, then use pinch/zoom and swipe motions to move through the room and adjust your perspective. The following is a list of improvements and bug fixes that were included in Measure Mobile 3.19, released on Tuesday, April 10, 2018 to the Apple App Store, Google Play Store and Microsoft Store. “Default walls” can now be applied as you draw rooms. This feature can be turned on in the Project Settings screen. Wall thickness, height and a default color can be set here as well. Scene View shows a 3D view of the room plan. You may press the selection icon in the upper right corner of the screen to select or deselect rooms that should appear. A 3D view is also included in the Proposal/Installation documents if the Room Plan is selected. This view is currently fixed. Improvements to the customization of this view are coming soon! Create and edit circle and ellipses shapes. These circles can also be used to punch out holes within a room. More improvements to the hole feature are coming soon! The right side panel can be hidden on the drawing screen to allow more room when drawing, editing or just viewing the room plan. Products with more than one color option now show a To Be Determined color option. This is supported when exporting to RFMS Quote and Orders. Font size for Cut Group information can now be adjusted on the Installation screen. RFMS BidPro Users can now create projects based on Estimates. Note: These projects cannot be used to update that original estimate, but rather a new BidPro estimate or order must be created when exporting to RFMS. Transition height and distance from floor (Windows only) are now able to be supplied. Removed Post Payment feature from the payment screen for RFMS Mobile (Measure Order Entry) users. Seam icons no longer appear when viewing Hard Surface products on the Estimate tab. RFMS Products with too small of a pattern match (<.5") will display a meaningful message that indicates the user must change the pattern size or remove it in order to import the product. Customer information no longer overrides a manually created Project Title. Tile and Roll allocation no longer generate an error when waste is zero. ProSource Business Name now appears and is sent to RFMS when using customer search on the Add Project dialog. The following is a list of improvements and bug fixes that are included in Measure Mobile 3.18.34, released on Monday, February 12, 2018 to the Apple App Store (Windows and Android Stores are soon to follow). Discounted amount is now supported when exported to RFMS. * This is done by reducing each line item by the discounted amount, similar to when a Fixed Grand Total is set. Improvements to the "Apply Price Level to all Lines" feature when multiple price levels are present across line items on the worksheet. Allocation was failing intermittently for hard surface items and patterned roll products. The following is a list of improvements and bug fixes that are included in Measure Mobile 3.18.5, released on Tuesday, November 21, 2017 to all App Stores. Improved export process to RFMS Mobile allows users to decline sending PDF documents or to cancel the export altogether in the event of a poor network connection. When entering Imperial measurements for product data such as width and length, the default unit is now inches if no quotation marks are provided. Fixed: Match Material was not showing up for products associated with certain checklist items. Fixed: RFMS Products with user waste calculated by Unit Type are now imported into Measure projects with the correct amount of user waste. The following is a list of new features and bug fixes that are included in Measure Mobile 3.18, which was released on Wednesday October 25, 2017 to all App Stores. Note: As of this release of Measure Mobile, any user that integrates with RFMS to create quotes, orders or BidPro estimates from Measure Mobile must use RFMS Mobile 1.4 or greater in order to do so. 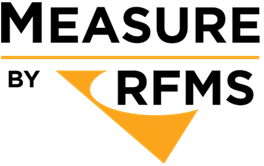 Measure Mobile now employs RFMS Mobile to complete the export to RFMS. · Added a Zillow button next to the Map button in Add Project and Project Information dialog which launches the Zillow web site with customer address. This website will give you an idea of the value of your customer's home. (Important: Do not download the Zillow App - continue to use the website for this purpose).